A hot night out right here. 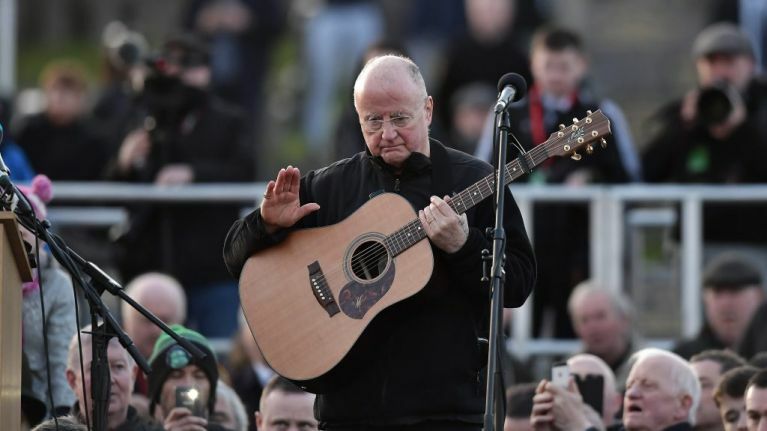 The Irish institution that is Christy Moore will head south next summer for a headliner as part of Cork's popular Live at the Marquee series. The beloved singer-songwriter will take to the stage on Saturday 6 July, with tickets going on sale on Thursday 15 November at 9am via Ticketmaster and usual outlets nationwide. Moore is gearing up for a busy period, with a string of dates previously confirmed for Dublin's Vicar Street across December and January. The Cork gig will hold some special significance, as recent single 'Sail on Jimmy' was recorded at the Marquee earlier in 2018. "I just love singing Albert Niland's song," says Moore. "More than any other, it has become an instant hit with audiences everywhere. We recorded this version at The Marquee in Cork in June. "4,000 people who had never heard the song before were singing beautifully by the end of the third chorus. It was a joyful and memorable moment, a standout memory in 52 years of gigging."